dietary factors: the form and frequency of sugar and acid intake – particularly a high intake of acidic foods & drinks which shifts the environment to suit bad bacteria! Saliva affords both static protective effects, which act continuously, and dynamic effects, which act during the time-course of a challenge. Salivary buffering and sugar clearance are important dynamic effects of saliva which prevent demineralization (breakdown of teeth). Chewing sugar-free gum is a fantastic way of increasing the amount of saliva in the mouth. At lower concentrations, fluoride inhibits breakdown of teeth and enhances repair, and this is the major mode of action of fluoride in drinking water and in fluoride-containing toothpastes. The key to prevention is consistent and constant intake of fluoride via drinking tap water, which is topped up morning and night by brushing with a fluoride-containing toothpaste. Most plaque forms on the central grooves of erupting molars. These areas are notoriously difficult to clean! Where there is bad plaque, decay will often follow. 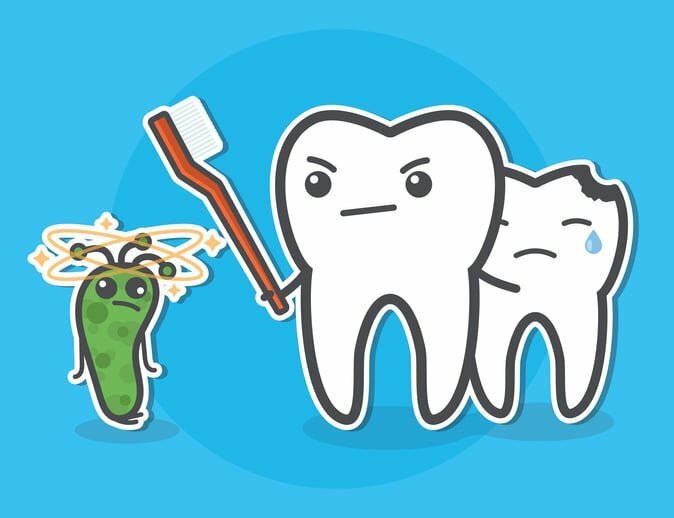 Fissure sealing a tooth will prevent bad plaque from residing in hard-to-clean areas, preventing decay and protecting the surface of the tooth. Through the Child Dental Benefit’s Scheme, eligible children are now able to have fissure sealants covered by Medicare at our clinic! At Marsfield Dental Care, we are motivated to keep your teeth strong and healthy. We believe prevention is the best cure. If you have any queries, leave a comment below or contact us directly and we’ll try to get back to you as soon as possible!